We are successfully meeting the varied requirements of our clients by providing the best quality range of Automatic Bricks Making Machine. 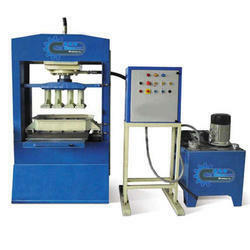 - Facility : Single Feeder Facility for Production of Fly-Ash Bricks. - Accessories : Two Roller Pan Mixer, PLC Control, Conveyer Belt, Power Pack, Fully Sensor Type Machine, Hydraulic Trolley, Tool Box. As an esteemed name in this domain, we are engaged in offering a distinguished array of Three Brick Semi Plant with high functionality at low maintenance. By following industry defined guidelines, we manufacture these machines utilizing quality assured components, modern technology and other superior grade material.